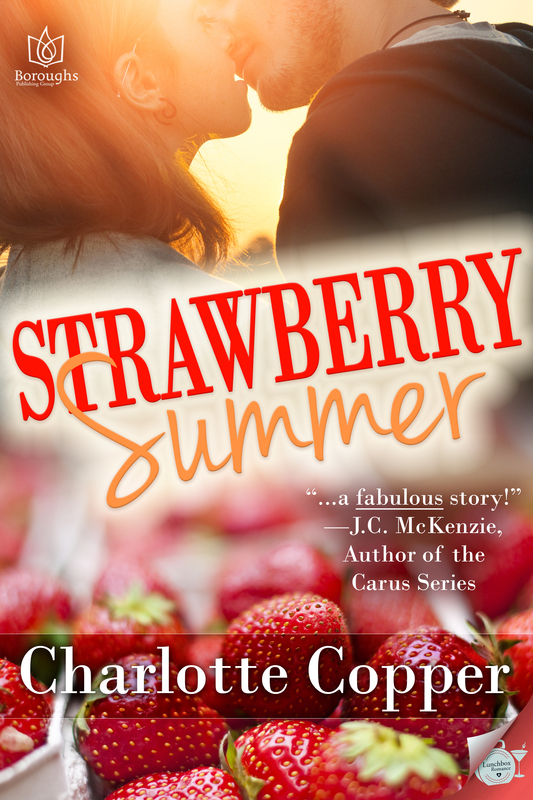 STRAWBERRY SUMMER, my first YA novella, is available from Boroughs Publishing Group as well as many of your favorite e-book stores. What could be better than working the dunk tank on a hot summer day with your best friend? How about catching the eye of the cute new boy? Olivia is volunteering at this year’s Strawberry Festival when she meets tall, buff and curly, Aidan. If the two are to stand a chance, they must look past their scars and overcome a few misunderstandings. The three of them just got settled as the movie’s opening music began to play. Olivia sat on the blanket, Aidan on one side and Cindy on the other. Her friend sat yoga style, folded up like a denim pretzel, while Olivia reclined, legs out, and leaned back on her arms, aware of Aidan’s body next to hers. Stretched out in similar fashion, his leg and broad shoulders occasionally brushing against her. Especially when he laughed. She liked it when he laughed, and had trouble concentrating on some parts of the movie. Luckily, she’d seen it before. “So, you weren’t a little jealous earlier, were you? When you thought I’d been kissing Dakota?” The bright festival lights reflected mischievously in his eyes.